A carwash that cleans and conditions like a shampoo! The purpose of the bubbles in car washes is to lubricate dirt that is on the vehicle’s surface so that it easily slides off the paint without scratching it. And while all car washes make bubbles, not all car washes are equal. To be truly effective, a car wash should also be gentle on the paint and rinse away completely, without leaving a residue or water spots. 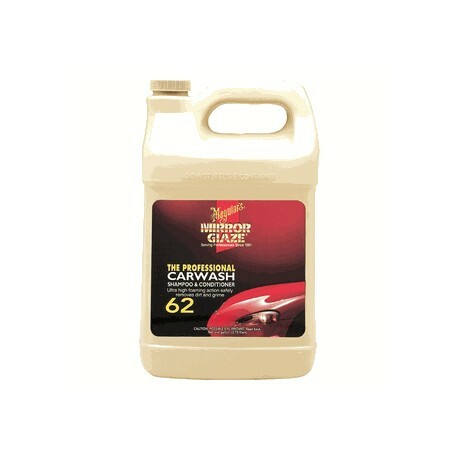 Meguiars M6201 Car Wash Shampoo & Conditioner #62 does all this and then some. 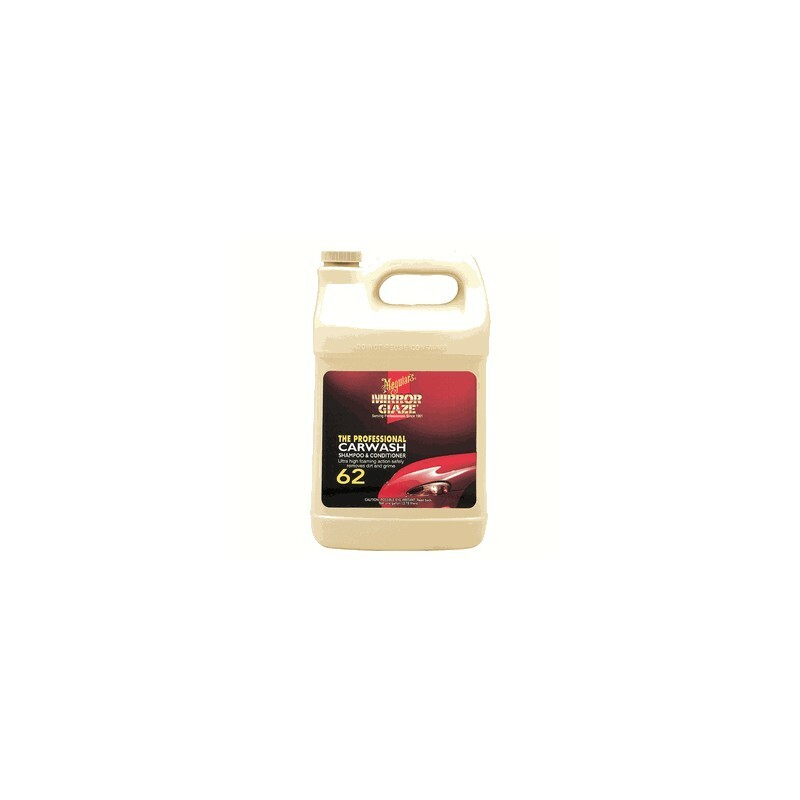 Meguiars M6201 Car Wash Shampoo & Conditioner #62 goes beyond lubricating dirt to dissolving it so there is nothing in the water to scratch your paint. It’s also pH-balanced to protect all clear coat finishes. The low alkalinity formula is gentle on all sorts of paint finishes. 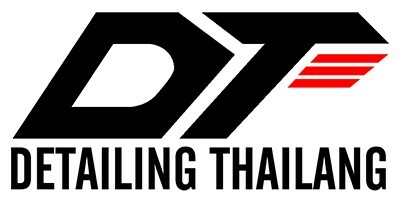 It will not remove wax, either, so your last detailing will not go to waste. It preserves waxes and protective treatments while drying to a streak-free, spot-free shine. 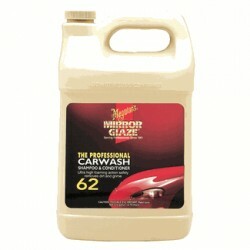 Meguiars M6201 Car Wash Shampoo & Conditioner #62 is also 100% paint shop safe. Its high lubricity formula makes it ideal for use before and after color sanding jobs. For best results, shake carwash well and mix one ounce into a gallon of water. Use a clean sheep’s wool or chenille mitt, or a natural sea sponge to lather the vehicle. Rinse out mitt or sponge when it becomes soiled so you don’t scratch the paint. When you’ve washed and rinsed the entire vehicle, use a soft, terry cloth or microfiber towel to dry the vehicle. No product can completely guard against water spots because the mineral content of water varies. Your best defense is hand-drying.